First Week of Freedom School! This week was our first week of Freedom School! We are thrilled to see all of the scholars' smiling faces and watch all of the hard work put in over the past year come to fruition. 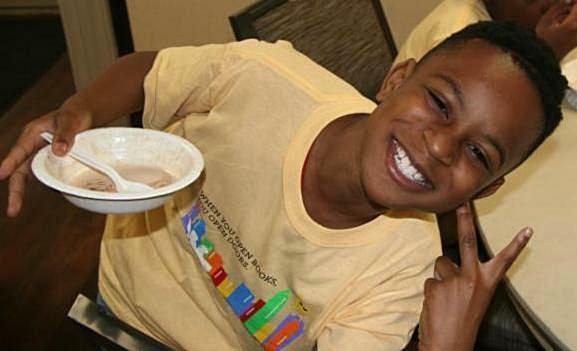 Scholars enjoyed all sorts of fun activities such as ice cream parties at Covenant Presbyterian (see above) and swimming at Cordelia Pool to help them cool off from the hot sun. To follow along with our scholars this summer, be sure to follow us on social media! Still looking for a chance to read at Harambee! this summer? 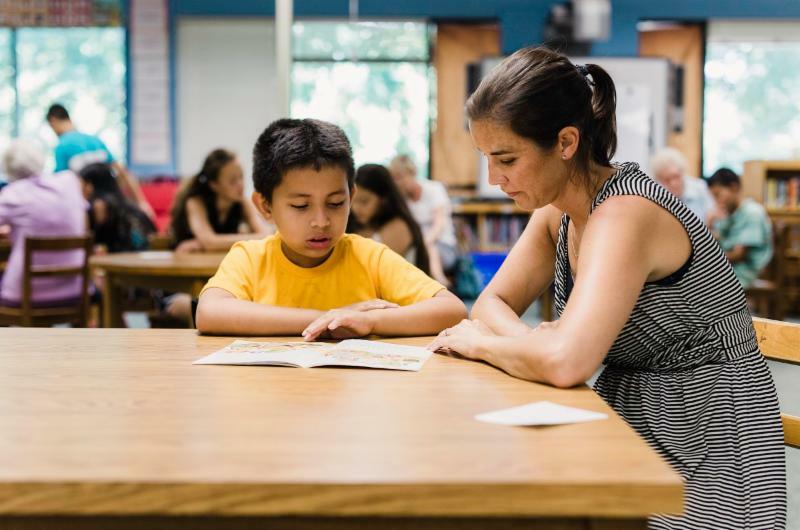 We have two reader slots open next week on Wednesday, June 25, at Rama Road Elementary School and Thursday, June 26, at Renaissance West STEAM Academy. If neither of those days work for you, but you are interested in being an "on-call" Harambee! reader we can never have too many! Please email Tommy Hudnall or call 704-371-4922 to sign up for Harambee! opportunities. Supply shoppers are needed for CN Jenkins, Martin Luther King Jr. Middle, UNCC-Center City and Renaissance West STEAM Academy Freedom School sites! Supply shoppers shop for and deliver supplies that support and enhance the Children's Defense Fund Freedom School Integrated Reading Curriculum. This is an estimated 3-5 hours per week commitment. When dropping off the supplies, you may request a reimbursement form or an in-kind donation form. For more information, please visit our VoluteerHub page or email Tommy Hudnall. We are looking for volunteers for Martin Luther King Jr. Middle, Renaissance West Steam Academy and UNCC Center City sites to serve as DEAR (Drop Everything And Read) buddies, field trip chaperones, and other positions! To browse volunteer needs for each site, click on their link below! 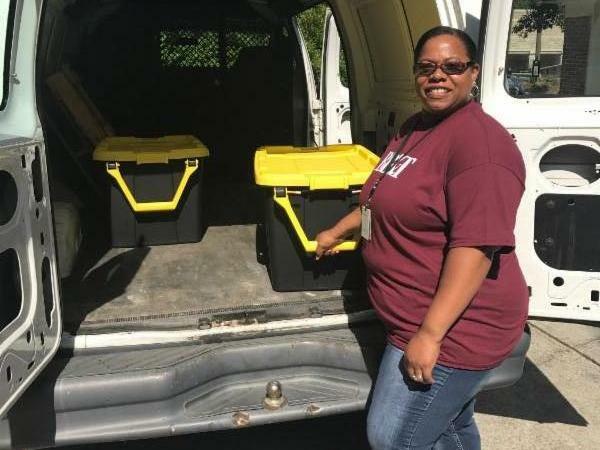 We are in need of drivers to pick up backpacks filled with food for scholar families from Second Harvest Food Bank and deliver them to various Freedom School sites. If you are available, please email Tommy Hudnall or call (704) 371-4922. 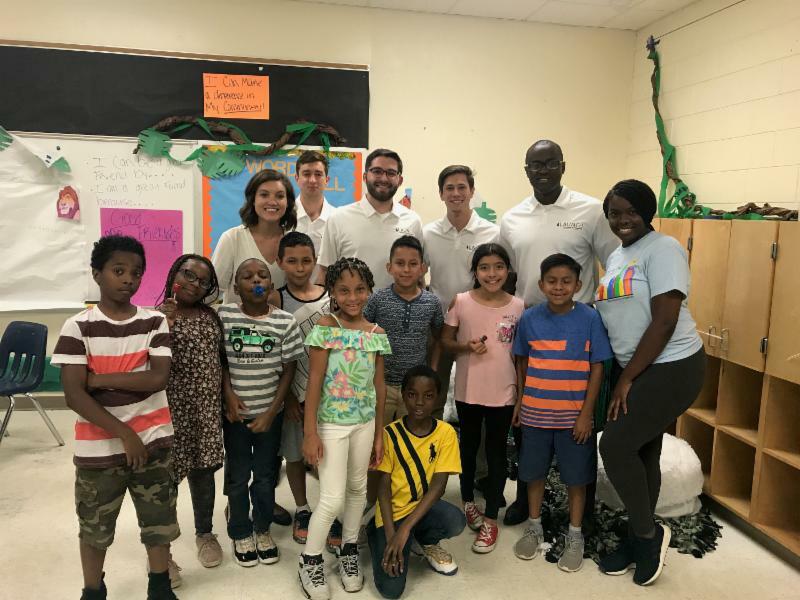 Thank you to all of the amazing volunteers from one of our partners, Wells Fargo, for assembling parent meeting gift bags and reading with the UNCC scholars at DEAR time. 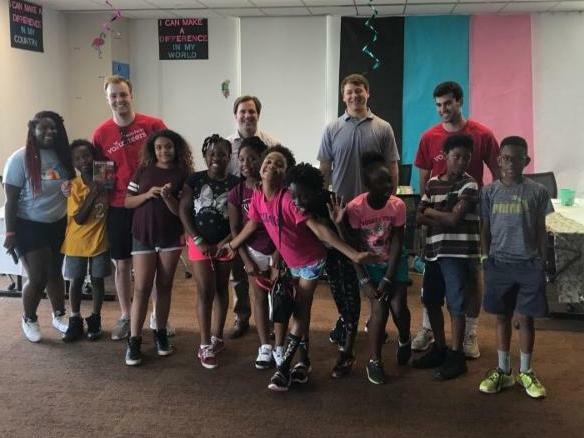 Thank you to this awesome group of volunteers from Albemarle Corporation for spending the afternoon with our Pinewood scholars and dancing with them for an on-site activity. Lighthouse Projects. They delivered over 600 snack bags for our scholars this summer! 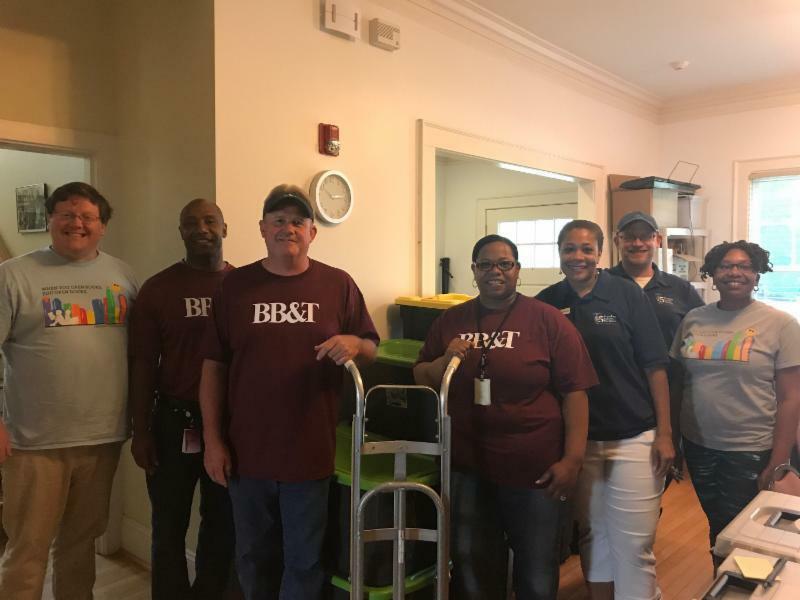 Thank you to Anthony Greene, Pat McNeely and Dana Johnson with BB&T Support Services for delivering the bags!